At this website I have categorized and listed the various risks related to smart grid technology. Beyond that, however, citizens need to be aware of the policies and extremist views that many proponents of smart cities and smart grids are actually trying to implement. These views are those of elitist technocrats who strive to create a society based upon maximum technological efficiency. I was recently made aware of a YouTube video showing a presentation from June of this year at a meeting of the Addison County Democrats in the state of Vermont. The e-mail message I received about this video was captioned with the title of “We’re going to have to abandon the car.” The presentation was made by David Blittersdorf, president of All Earth Renewables. For years Blittersdorf has been advocating for regulations, subsidies and taxes to stamp out fossil fuels (and nuclear power) and replace them with the energy solutions he is in business to personally profit, namely energy-diffuse fuels like wind and solar. Upon reviewing the video, I was actually struck with an even more broad and ominous statement of, “If you are going to travel, travel now,” which was made after a comment questioning “the idea that we’re going to be flying around in airplanes” in the future. With that introduction, please watch the following 1 1/2 minute video clip. So, instead of a family vacation to the Grand Canyon, if you “want to see what nature is doing,” just walk to the edge of town and see what is there. Really people, can you not see what is happening? 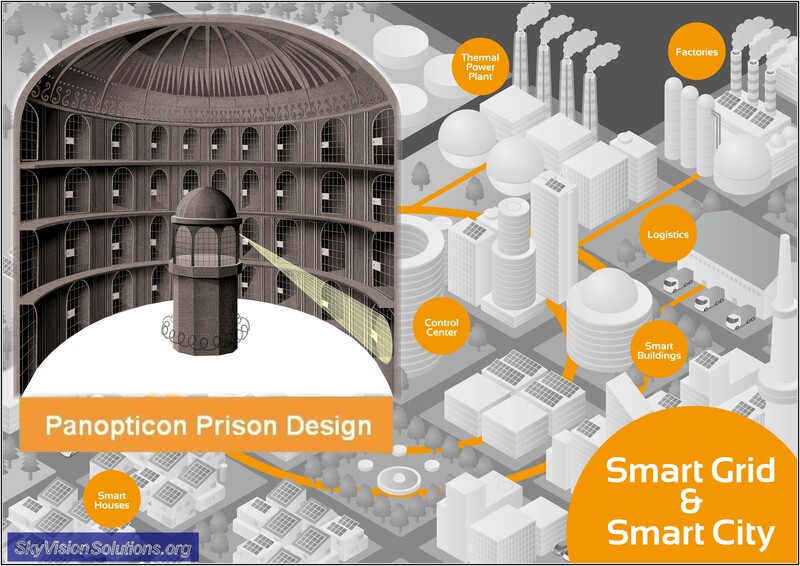 Reject this trend towards the Orwellian smart city future of Panopticon design where everything is controlled and movements are limited to travel without a car by walking or biking to the edge of the city. The phrase from the video clip that, “If you are going to travel, travel now,” in addition to that already stated, reflects an attitude that our best days are behind us and that the end is near. If you want to see America or the world, do it now before you won’t be able to anymore. The future envisioned by sustainable development and technocrat zealots is one which I would view as a dismal existence for humans, likened to caged animals with no hope for freedom or self-determination. I ask others to join the fight against smart grid and smart cities for the sake of our future generations. I understand and share the desire to conserve our natural resources and protect the environment, but there must be a better way. 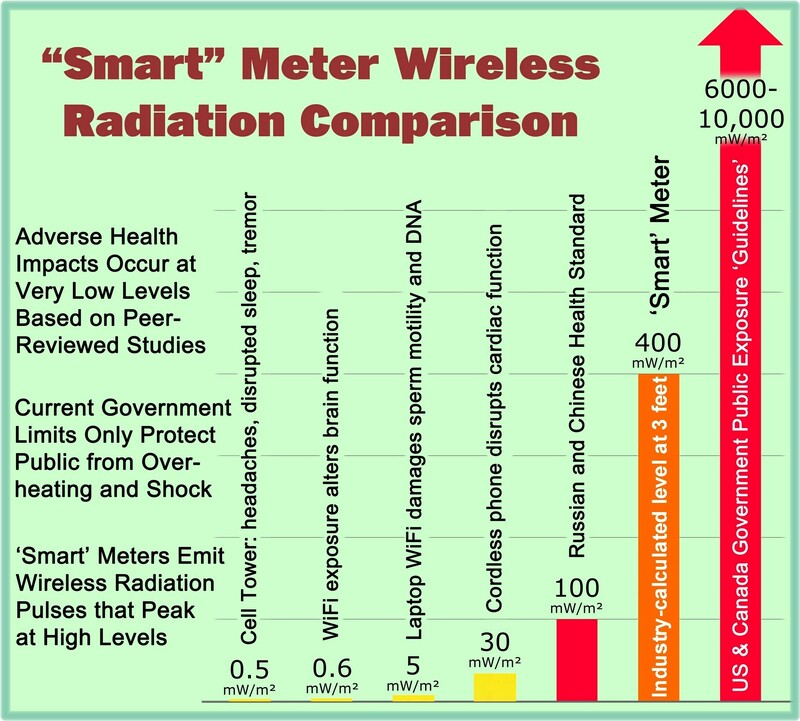 This entry was posted in Smart Grid, Smart Meters, and RF Emissions and tagged Agenda 21, Smart Cities, Smart Grid, Sustainability, Sustainable Development. Bookmark the permalink. Three things came to mind when I read this: (1) herding animals to the butcher markets, (2) China, where young couples are now forced to tow around their popup little home (use the word “home” very, very loosely) on the back of their bicyles, because there is no new housing to be had in cities and (3) concentration camps. Returning to mass electric transit will be limited to cities, as it is not viable anywhere else, which means we will have a vast country out there somewhere, that we will never see, because access will effectively end if means to travel are eliminated. THAT is why the arrogant fool in this video says to travel now, while you still can. People have to recognize that when entire populations are contained (corraled) in cities, they do become nothing more than animals fighting for space. Individuality will be stamped out, the home as sanctuary will not exist. We will be nothing but human robots (and, if the nanotechnologists have their way, the populace will literally be robots by about 2050). No, really! This is what our tax dollars are being spent on. Who will run the show? Why, the very people whose best interests will be served by this agenda, and it’s not the population who will be held “captive” in cities. Every “Bill of Goods” selling point used by these people sounds great for the green environment; but on close inspection is really an agenda of controlling the masses. Just examine any country whose population has no freedoms, and you will see our future. It is a grave mistake and one these Technocrats count on, to believe this couldn’t possibly happen here. Any population who falls for this has not learned a single lesson from history and will, by being gullible enough to believe the lies, never have an opportunity to participate in a meaningful way in the future. OBAMA WAS OBVIOUSLY PUT IN PLACE BY THE “RUN-ITS” TO DESTROY WHAT LITTLE IS LEFT OF THE SOVEREIGNTY, BOTH OF ALL COUNTRIES, AND AS WELL THE FREEDOM, PROPERTY, AND PRIVACY 0F THEIR RESIDENTS WORLDWIDE. THE ELECTED OFFICIALS OF OUR GOVERNMENT HAVE SOLD OUT US ALL OUT: ALL 3 BRANCHES OF OUR GOVERNMENT, AND THE RULE OF LAW NO LONGER APPLIES, REPLACED BY FASCISM/CRONY CAPITALISM (BRIBERY & CORPORATOCRACY) AND COMMUNISM FOR THE REST OF US. It sounds like the A21 concept of “Pack em and Stack em”. Put the worker bees in a human hive structure close to their workplace assignment. One wonders how the elitist pig in the video got to the conference at which he’s presenting and just how far away he lives.